Well the time has come that we have started thinking of what to do for a coop. 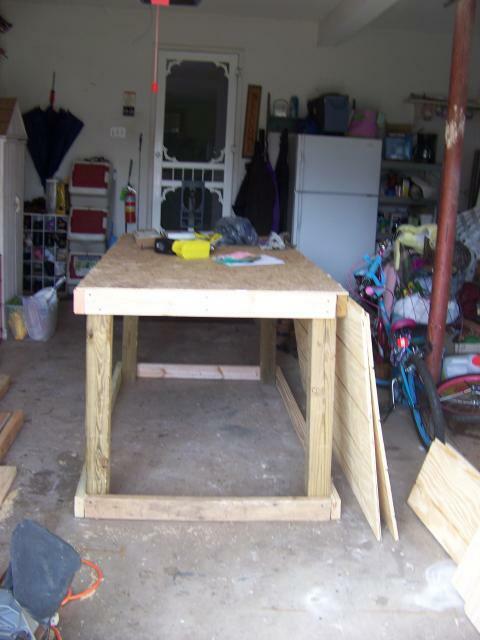 With the help of my wonderful husband we have started construction on our coop! Believe me when I say we are no experts on building a coop. This is our first outbuilding experience. With the help of so many others on this forum and good information we are off! Okay so this is the base of our coop. As you will see thru our pictures we did things a little different from the professionals. Most people will frame out their entire coop first then add walls. We did not. However it still came out pretty good. Amazingly enough!!! 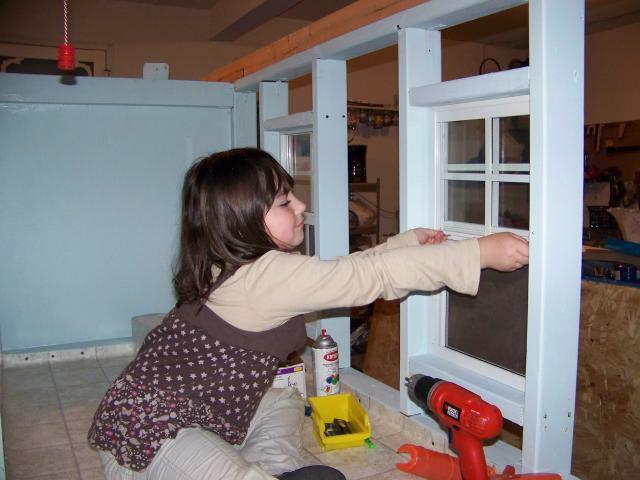 Now here is my daughter practicing on opening the windows for our coop. She is enjoying helping Dad so much!!! 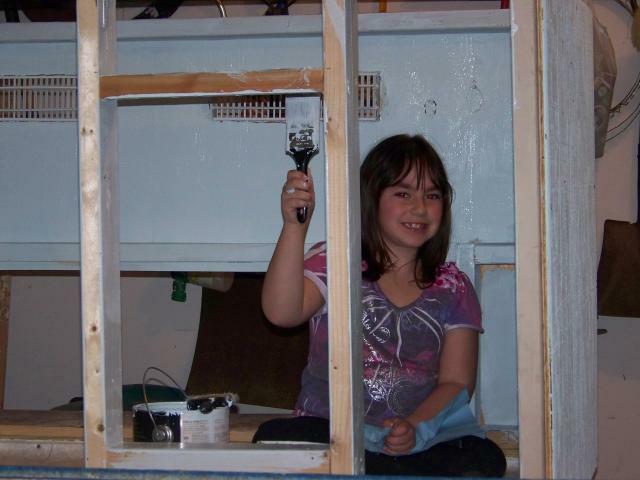 We cant get her out of the coop so we figured we just put her to work! So as you can see we kind of our painting as we go along- why wait to the very end. Since my husband has been working on this project on the weekends mostly, that leaves us alot of time during the week to want to do something like painting. Alot less work in the end! (Like I said we are a little backwards- but it still works. 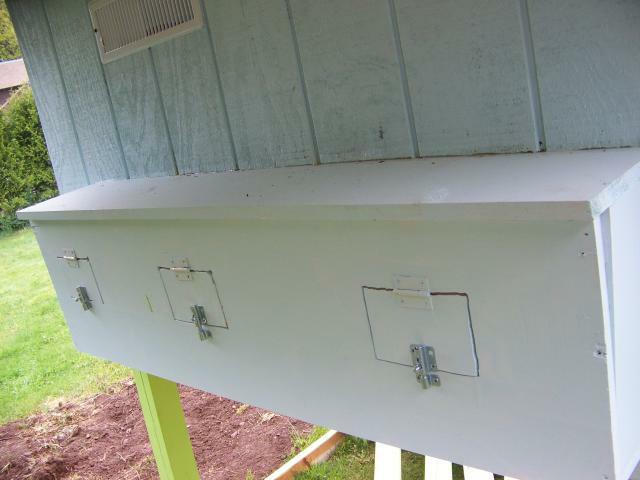 Here is a pic of what will be what the inside of the nesting boxes look like. I did three boxes for the five chicks. After reading up on nesting boxes and hearing what other folks had to say I realize we did not need five boxes for the five hens. We will be putting a small board in front so the shavings dont get kicked out of the box. 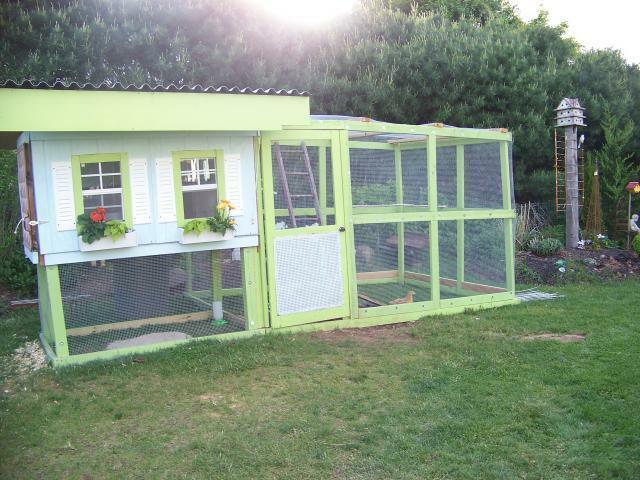 Okay here is a pic of the front of the coop. Like I was telling you before -its hard to keep the kids out of it or off of it!!! 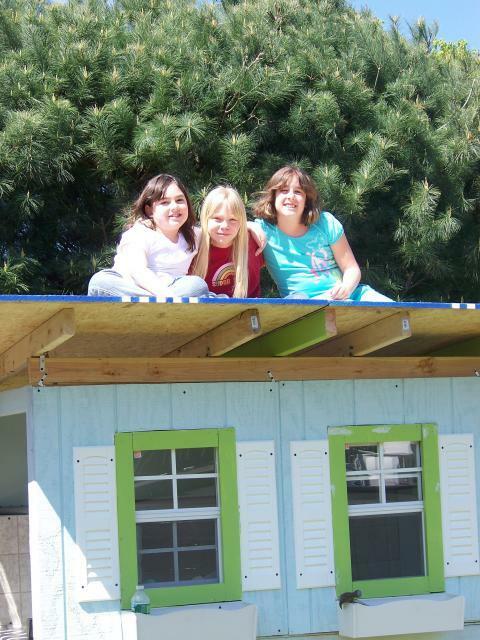 But they are having fun watching the progression of the ol' chicken coop! It is exciting for even me when something new gets done on it! But it is getting there. We did finally get it out of the garage. My suggestion to anyone is build it where you actually want it if possible. 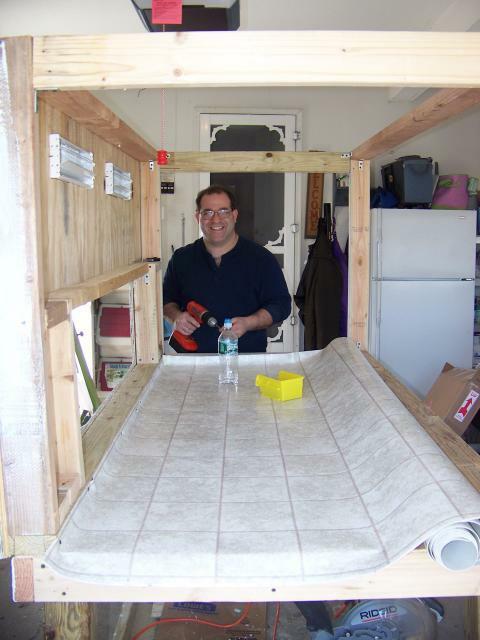 My hubby figured he would just start it in the garage and he did get most of it together -less the roof. 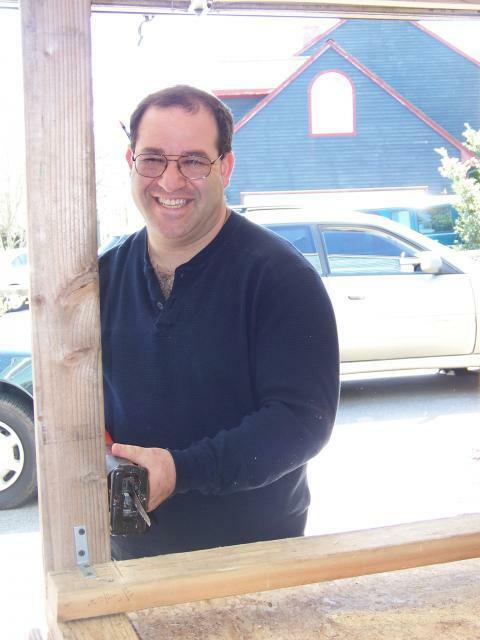 We were able to move it with the help of our Kubota and our neighbors help! It was not easy though- so keep that in mind! Well here it is- our coop finally finished!!! YEAH!!! 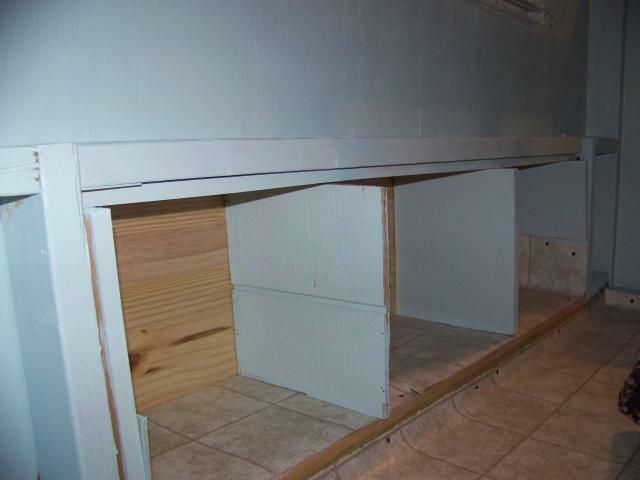 "Cute coop, love more details"
This coop and run are adorable. I can see where people would love to copy this coop. However I had trouble figuring how it went together. Some plans, dimensions, etc. Would be a big help. Beautiful! Not to mention, it looked like a great famIly project. Very nice! Lots of great photos and happy helpers. Oh my goodness! 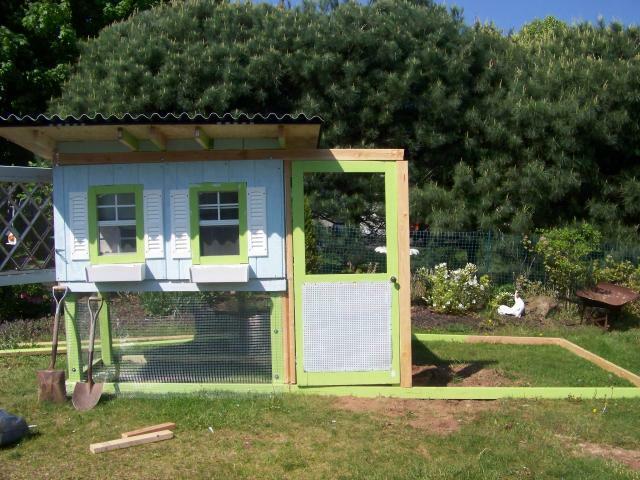 Just what every chicken deserves, a perfect, decorated, painted chicken coop built with a big pen! Cute coop, thanks for sharing! Great job and a happy chicken family. can you tell me where you got the cute windows for the coop? that is exactly what i'm looking for! very nice coop!